Our family is from North Dakota. My husband Scott and I have five children and Cully, three-years-old, is the youngest. Cully had a brain tumor that was removed in November in Fargo. The following week we found out it was medulloblastoma, a cancerous tumor. His neurologist thought his prognosis would be greatly improved if he underwent proton beam therapy at Mayo Clinic in Rochester. Knowing we would be in Rochester for seven weeks, our social worker told us about The Ronald McDonald House. One of the most meaningful things about staying at the House are the meals and the helpful staff. It was so nice to have healthy, complete meals served to us two to three times per week. The staff has been so helpful for our individual needs. Cully was immune-compromised so we had some special requests and the staff and volunteers were both understanding and accommodating. Some of our most memorable times at the House have been during the family activities. My kids loved playing Bingo and meeting all of the Paw Pals dogs. I honestly didn’t expect to make the friendships that I have. I’ve been able to get to know several of the other families and we intend to stay in touch with them. Today Cully is doing great! Once we finish radiation, we will have a break before nine months of chemotherapy begins. Throughout our stay at the House he has stayed healthy and full of energy. 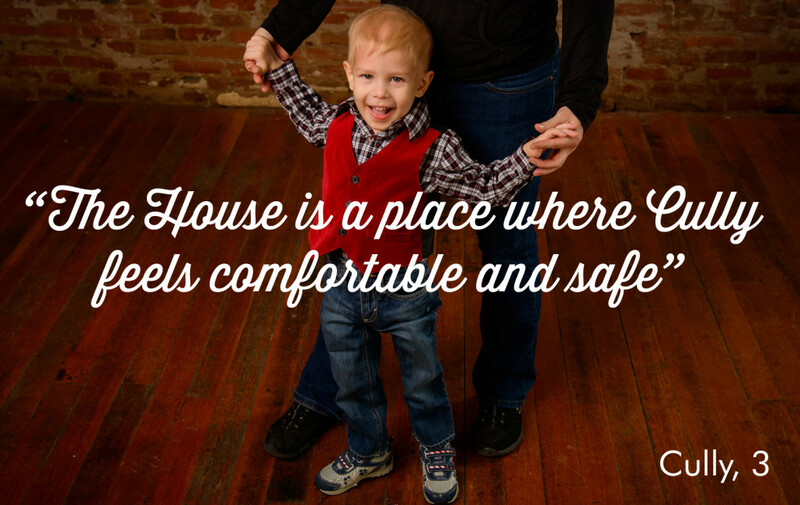 The House is a place where Cully feels comfortable and safe. He knows there are no medical treatments there and because of that, he has been able to relax after long days at the clinic. Are you a current or former guest of the Ronald McDonald House of Rochester, Minnesota? We’d love to hear your story! The Ronald McDonald House® of Rochester, Minnesota provides a home-away-from-home and offers support to families seeking medical care for their children since 1980. Located near Mayo Clinic and steps away from Saint Marys Hospital, the House keeps families close to the support and medical care they need. In 2018, the Ronald McDonald House of Rochester provided shelter to 467 families.